It was against that backdrop that Congress took legislative action in December 2017. 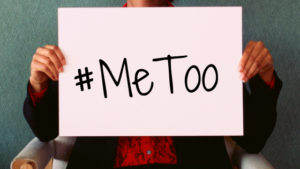 As part of the Tax Cuts and Jobs Act, Congress included a provision, Section 13307, that eliminates tax deductions for the settlement of sexual harassment claims. No deduction shall be allowed under this chapter for (1) any settlement or payment related to sexual harassment or sexual abuse if such settlement or payment is subject to a nondisclosure agreement, or (2) attorney’s fees related to such a settlement or payment. Prior to the passage of Section 13307, employers could deduct ordinary expenses paid or incurred, including settlement agreements with general releases and nondisclosure agreements. Employees who received settlements for claims of sexual harassment could also deduct attorneys’ fees paid as the result of a contingency fee agreement. The intent behind Section 13307 was to place pressure on employers to make a choice: Either do not make confidentiality a term of the settlement or lose certain tax benefits. Signed into law on December 22, 2017, what has followed, however, is confusion and uncertainty. The provision includes a reference to “this chapter,” meaning the entire Chapter One of the Internal Revenue Code. A plain reading of the provision indicates that it applies to both individuals and businesses. Thus, the provision appears to prohibit either a defendant-employer or a claimant-employee from deducting settlement proceeds received or spent. To add to the confusion, only subsection (1) of provision Section 13307 contains a reference to settlements subject to a nondisclosure agreement. Whether the reference in subsection (2) to attorney’s fees “related to such a settlement or payment” (bold added) means any settlement of a sexual harassment or sexual abuse claim or only those subject to a nondisclosure agreement remains to be seen. One way in which parties settling claims in 2018 have handled this uncertainty, at least in cases where a claimant has made multiple types of claims (e.g. gender discrimination, retaliation, and sexual harassment) is to bifurcate the settlement amounts amongst different types or allocate monetary proceeds to non-harassment claims. However, whether the Internal Revenue Service will sanction this approach is also an uncertainty, as it has yet to issue any guidance. Another consideration is Section 13307’s impact on standard release and separation agreements, where an exiting employee is asked to release all possible claims against an employer in exchange for a severance or other offered benefit. In order to have peace of mind that there are no lurking claims, employers often ask for these releases when offering an employee something more than their general separation policies allow. Is the fact that there is no pending claim sufficient to avoid triggering Section 13307? For now, these remain grey areas. This year will be the first where tax consequences will come into play in upcoming tax returns. It seems likely that the IRS will offer guidance. Until then, employers and labor and employment attorneys will have to work with the uncertainty.